An interesting challenge will close the futsal year of Italy and France in Asti, where the Pala Errebi San Quirico venue will host a double friendly game on December 4th and 5th (free entrance, both matches kicking off at 20.30). Pierre Jacky, head coach of France has basically confirmed the roster which managed to get two brilliant scores in Roubaix vs Ukraine, on past october. 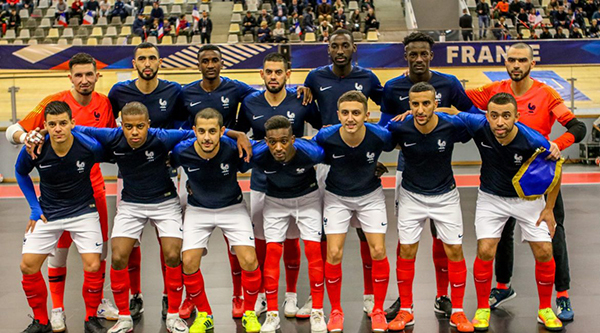 Italy and France are again in the pitch in 2018, after their preparation match in Novgrad (Croatia) on last January, when both selections were gearing up for UEFA Futsal EURO 2018 in Slovenia: that closed doors game ended goalless, so let's hope for a more entertaining show for Asti and international fans. Below have a look at the French roster selected by head coach Pierre Jacky.